When you’re on the go, whether it’s a family vacation or a business trip, the last thing you need is for one of your devices to stop working from a power surge or short circuit. We’ve researched all the best compact surge protectors for travelers, so even if you’re stuck in a cheap motel or waiting in an airport for 13 hours, you won’t be sweating the safety of your electronics. We understand that it can be frustrating sorting through the technical specs for products like surge protectors, so we sifted through them for you. Here are the factors we used to select our picks and, should you do some comparison shopping of your own, we recommend you use too. How much energy the surge protector can absorb: A joule is a unit of of energy, so we’ve look for devices that can take a higher amount of energy. The more energy that’s absorbed, the safer your devices are. How much voltage triggers the surge protector: The clamping voltage of a device is the maximum amount of volts that can pass through a surge protector to a device without hurting it. We want a lower clamping voltage for surge protectors since we don’t want to risk the life of our electronics. Safety and Efficiency Certifications: Any surge protector that meets UL 1449 standards is known to safely protect your devices. 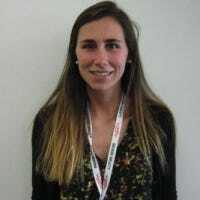 Other certifications can meet safety (ETL Listings) and energy-saving standards. Convenience: This category is based off of different needs of travelers, so whether you’re stuck at an airport or you’ve got several USB devices that need charging, we’ve looked at the convenience of all of our picks. Here are our top picks for surge protectors that combine convenience and device protection in a travel-friendly package. For the international traveler who wants to pack light the PowerBear is a perfect all-in-one solution. Rather than buy a travel adapter, power strip, and USB charger, you can pack one device instead. 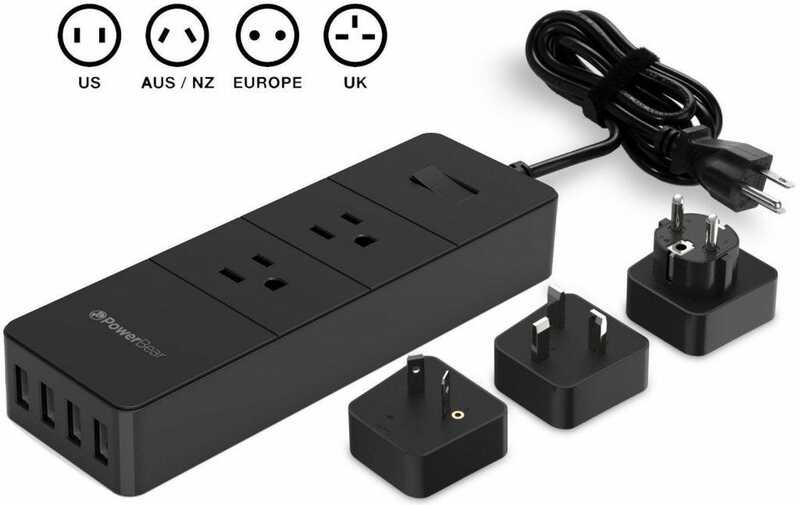 It comes with Standard US, European, Australian, UK, Chinese, and Indian adapters (guaranteed to work in 150 countries that use those collected standards). In addition to the two AC power ports it t comes with 4 USB ports, so you’re free to charge a whole family’s worth of devices if need be. While not the smallest surge protector in our roundup (at 7 inches long and 1 in wide plus the cord and adapter plates), the PowerBear is still small enough to stick in your carry-on without any problems. The PowerBear is FCC and RoHS certified, and can withstand surges up to 2000 joules. Just the name of The Belkin 3-Outlet SurgePlus Mini says it all—this travel-sized surge protector will compactly fit in your luggage and give you the peace of mind that you’re looking for when charging your gadgets. It has 3-outlets and 2 USB ports, which can charge 2.1 A each, allowing for convenient charging speeds. 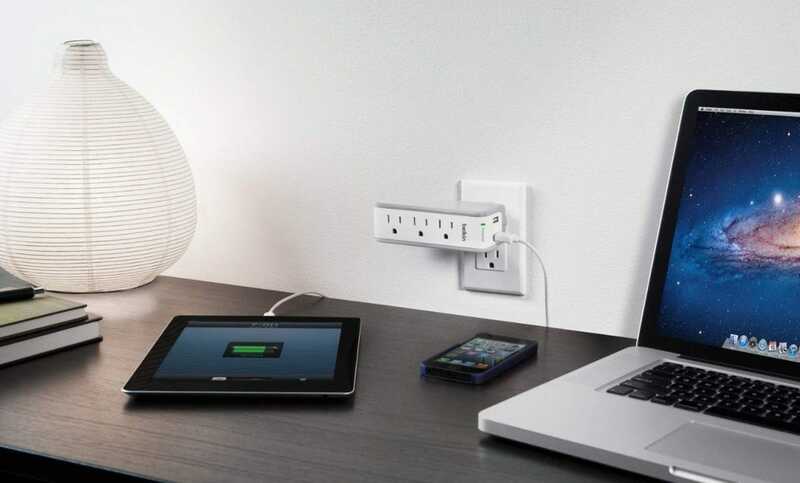 If you’re crunched for space, the Belkin SurgePlus Mini can rotate 360 degrees when plugged into the wall, giving you easy access while charging your items. The cord-free design also helps you pack light and tight when every inch and ounce counts. It can protect up to 918 joules, so your devices will be safe using any outlet. If something were to happen to your electronics, there’s a $75,000 connected equipment warranty. Have you ever been stuck at the airport and not had access to an outlet near you? Lucky for you, not only is this portable surge protector is the perfect size to carry with you on your flights, it has 3 outlets (2 on the front and 1 on the side), 2 USB ports, and an 18 inch cord so you don’t have to sit directly next to the outlet (or to the other travelers just as desperate for power as you are). 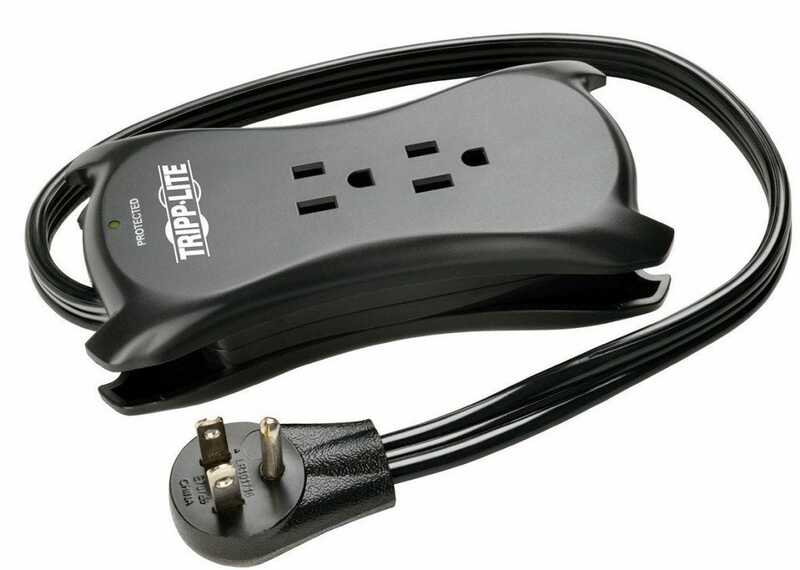 The Tripp Lite Surge Protector prevents damage up to 1050 joules, so you know your gadgets are safe. If something were to go wrong with the Tripp Lite, however, like with the Belkin model there’s there’s a warranty for connected devices (up to $25,000 in equipment replacement costs). If you need to charge your laptop, smart phone, Bluetooth headphones, and smartwatch all at the same time without having to worry about short circuiting any of these expensive gadgets, then look no further. 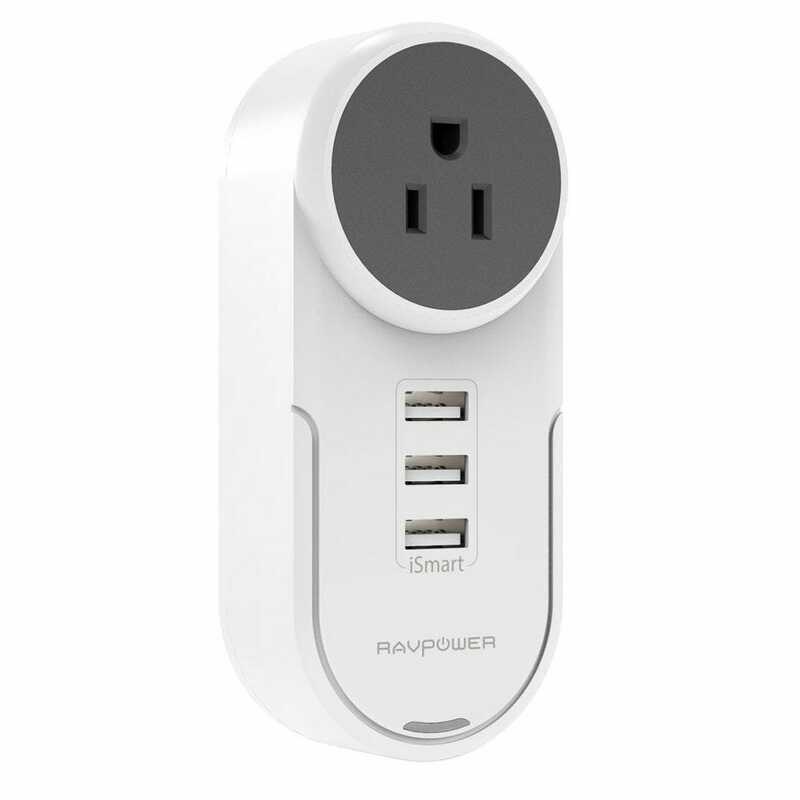 The RavPower charger is from a company already well known for their household and automotive charger The surge protector has 1 AC outlet and 3 USB ports with protection up to 700 joules—making this product is a great compact combination charger and a surge protector. Each USB port delivers up to 2.4 Amps, and can detect and adjust the current coming from the RavPower to charge your electronics at the optimal speed. It’s also ETL Listed, so whether you’re charging your laptop or headphones, you can rest easy knowing they’re protected. Lastly, it’s small, portable, and convenient—it can even rotate 360 degrees when plugged in the wall, giving you access to adjoining outlets.